Jess Eaton Road Kill Couture collection has wonderful items and accessories, like a necklace of skulls of 12 dead pheasants, crashed a bolero made from skins of 50 white rats eaten by her friend's reptiles, or a hat made from four Magpie wings, but the designer insists she is not out to shock the world. 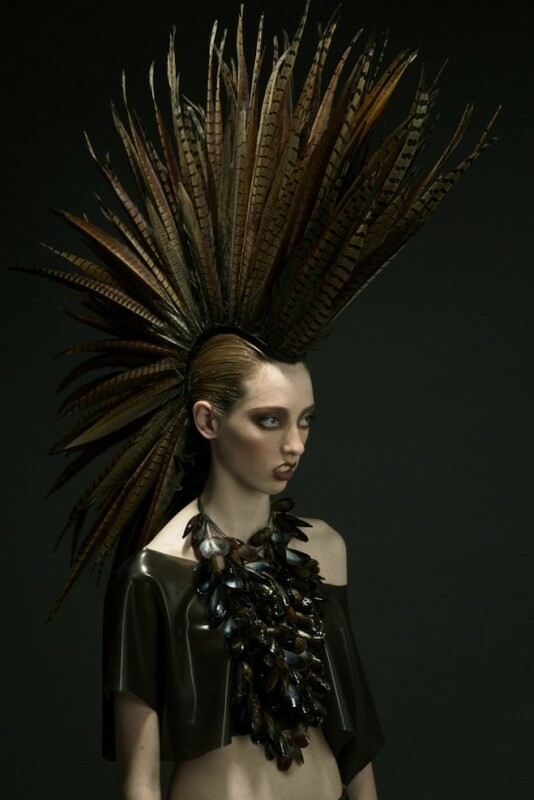 Sure, some of her pieces look like something only Lady Gaga would dare wear, but Jess Eaton says that her creations are intended to be beautiful, not outrageous. 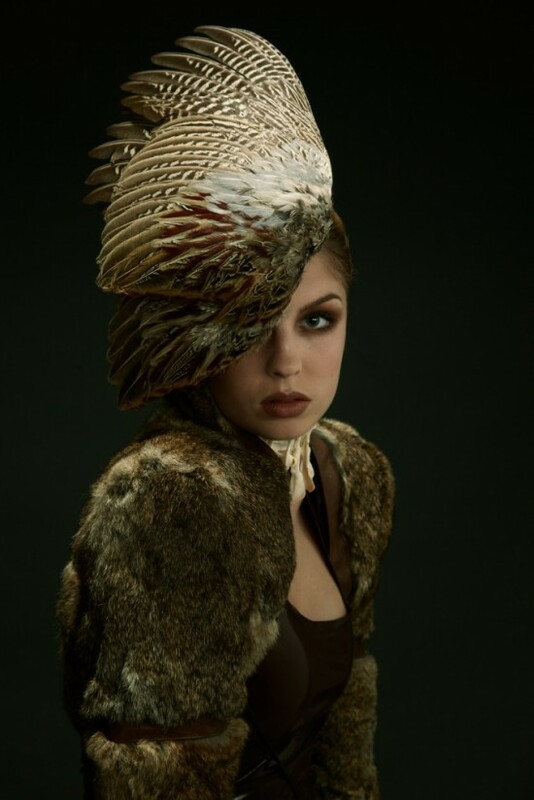 Even things like a belt made of animal ribs, a rat skull fascinator or a bolero made of rat fur is not easy to carry, hope Jess her Roadkill Couture will at least inspire people to think about where food comes from and how much we waste. Her collection pushes the boundaries of recycling and asking people to ask people to think about the ultimate nature of sustainability. While other women would probably recoil at the sight of a dead animal, Jess more than happy to pick it up, skin it yourself, and use the various body parts in her unique fashion element. She recently received a dead horse's head, as she chopped and used in different parts, proving that she had certainly not squeamish when it comes to working with her material choices. Her seven year-old son, Norton, but are tired of the smell of flesh-eating bug in their Brighton home, and can not wait until Jess finally opens his own studio, away from home.